A few months back, I preformed for a birthday party at Trident Hotel, Kochi. A simple pink- and white-themed decoration with 'happy birthday' banner, ribbons, balloons, pinnate, etc. attracted everyone at the event. Just before the party started, a cake was placed on the cake table. Suddenly the cake became the centre of attraction. There was a Minnie Mouse statue standing two feet tall. I noticed that the cake maker has given attention to every detail to make it look real. One might easily take it as a 3D graphics work. "No one would like to cut such a classic piece," a mother said. "We have to cut it anyway as it is the birthday cake. We have the photos with us. So the cake will be remembered through the photos and nobody will remove them their favourite collections," said another mother. friend Anna made the ‘wonder’ cake! 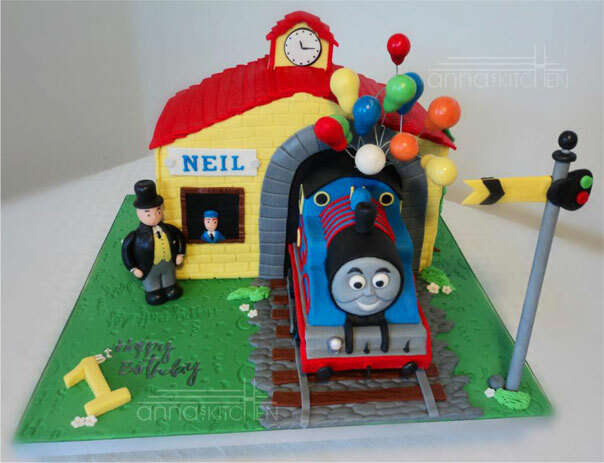 I have hired a few cake makers who work on different themes. 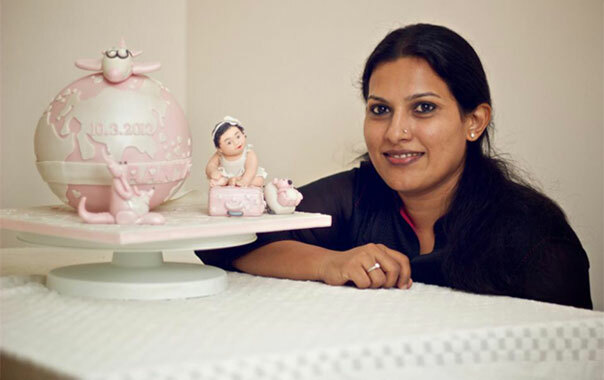 Anna Mathew Vadayath, an artist par excellence, has become a synonym of themed cakes in Kochi. She has been featured in newspapers and magazines including The Sunday Express, Hindu Metro Plus and Femina South India. The Sunday Express showcased how Anna as a best example of Facebook marketing. 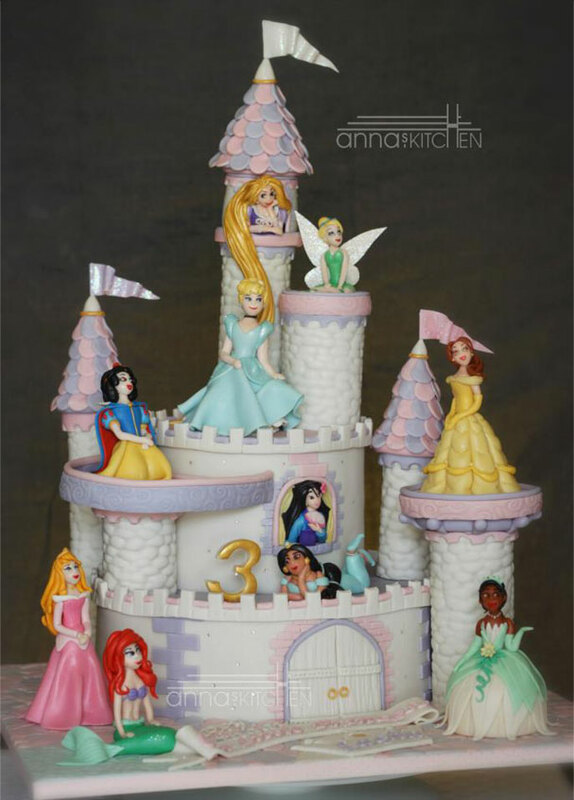 In my opinion, if Anna has earned some popularity it is only because of the originality and subtleties of the art she has perfected over the years and applies into the art of cake making. I am really proud that I have sent her a Facebook like on her page Cake Canvas From Annas kitchen. 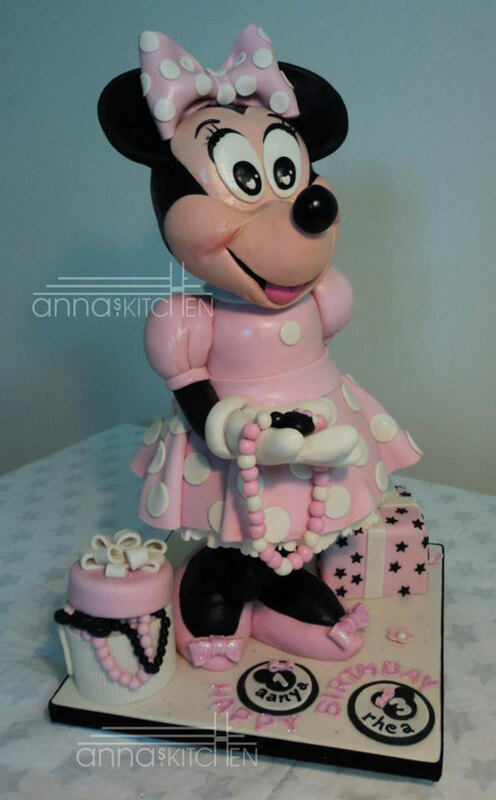 Robot, Spider man, Batman, Disney princess and even statue of a bride and groom on a wedding are few among a dozen themes cakes Anna has showcased on her facebook page. Each cake tells you a story like masterpiece painting. Anna told me that she makes only one cake a week and I am booked full for April and May.